CulaLuva is aiming at providing the best replacement charger for your device. It's compatible with Apple Macbook Pro OEM device for your better use. MacBook Pro 11 inch and 13 inch: Model Number: A1425, A1435, A1502. MD212,MD213, MD662, ME864, ME865, ME866, MD565, MB985, MGX72, MGX82, MGX92, MF839, MF840, MF841, MF843. - LED lighting system that shines amber when notebook is charging and green when fully charged. 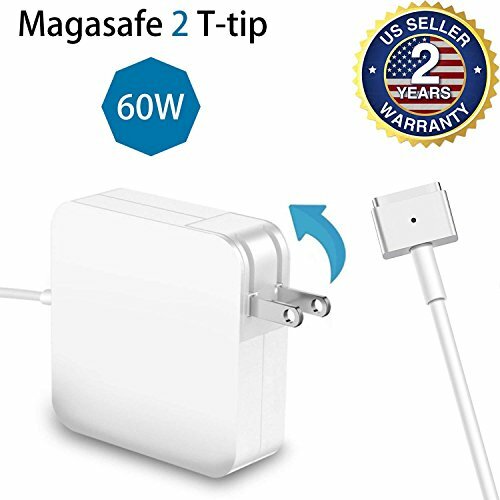 We Provide a 2-years warranty with our MacBook Pro Charger. Our products come with superior built & safety features ensure a reliable charging to stay with you in the long run.